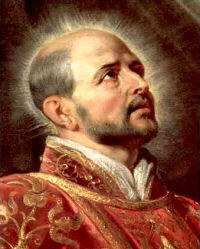 Father, you gave St. Ignatius of Loyola to your Church to bring greater glory to your name. May we follow his example on earth and share the crown of life in heaven. We ask this through our Lord Jesus Christ, your Son, who lives and reigns with you and the Holy Spirit, one God, forever and ever. Amen.